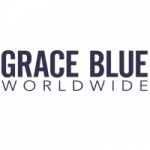 Grace Blue is a global executive search business specialising in finding and recruiting senior leaders in the marcoms sector. It wanted to raise its profile among decision-makers and demonstrate its expertise and thought leadership, given that its partners were all ad agency or media veterans. We identified ‘leadership’ as the key focus for the PR campaign. We worked to position Grace Blue as a thought leader in all the factors around what makes a great business leader and how to find these rare souls. While also running the press office, we created a number of thought leadership opportunities in key industry titles such as Campaign, MAA and Media Week. But just as importantly, also positioning Grace Blue spokespeople as experts on leadership and executive recruitment in wider business media.